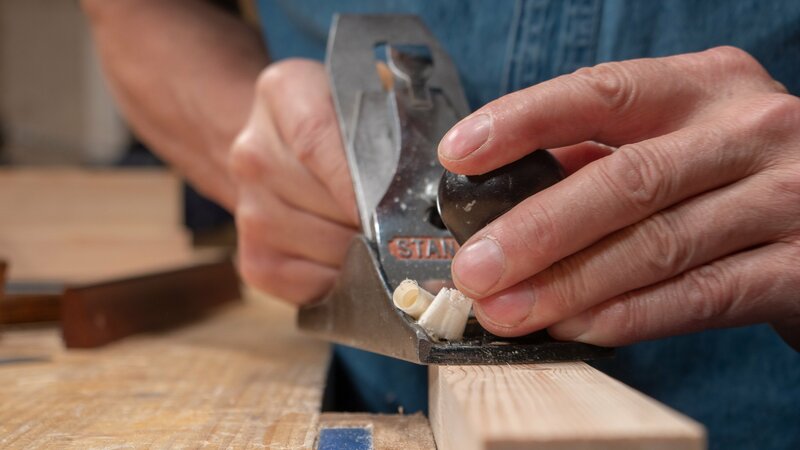 All stock must be trued before joinery to establish the registration faces required for accurate layout. 1. Sight down the wood to see if it is straight, hollowed or bellied. 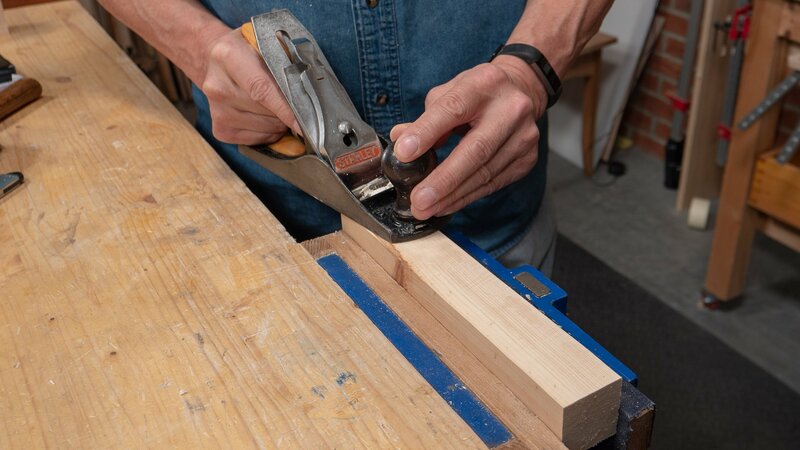 If it isn’t straight, use a smoothing plane to take off the high spots. 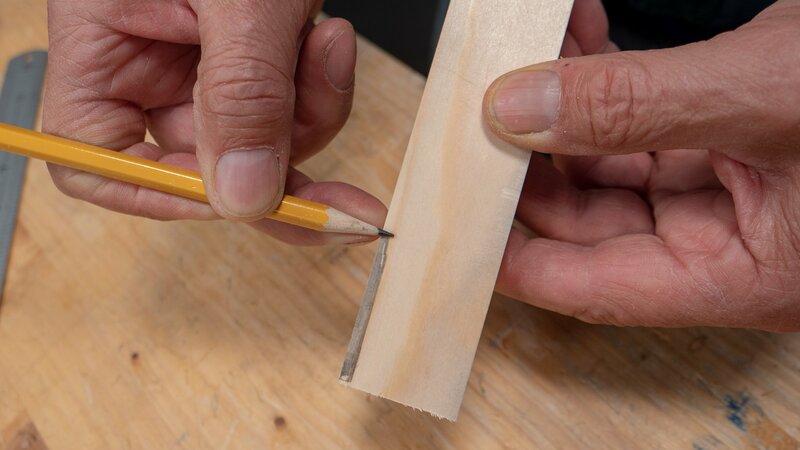 If no hollow or belly is identified, you can go straight to winding sticks in step 2. 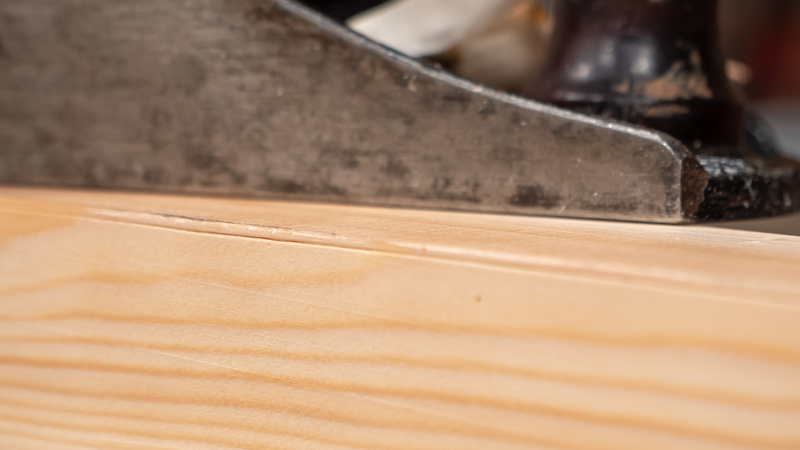 Note: If it’s a short piece you can usually place a steel rule or the blade of the square against the wood to check for any hollows. 2. See if it has a twist by using winding sticks. 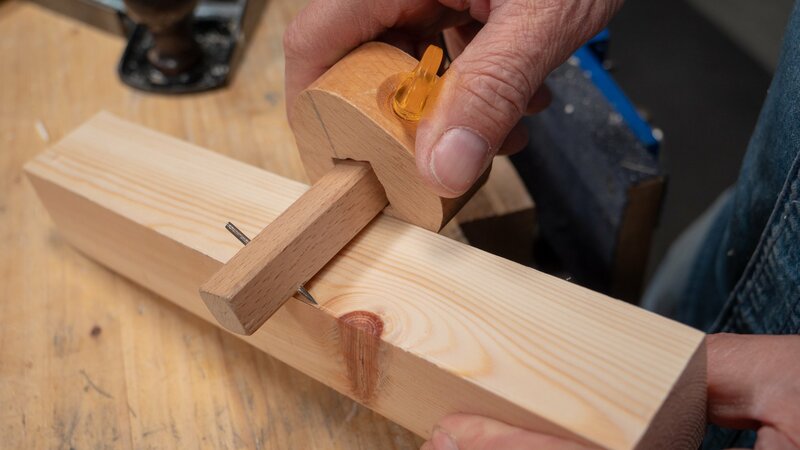 If you don’t have any winding sticks you can make some yourself following this video or make some poor man’s winding sticks, which can easily be made using 2 bits of wood the same width with parallel surfaces. Mark the centre of both pieces of wood. 4. 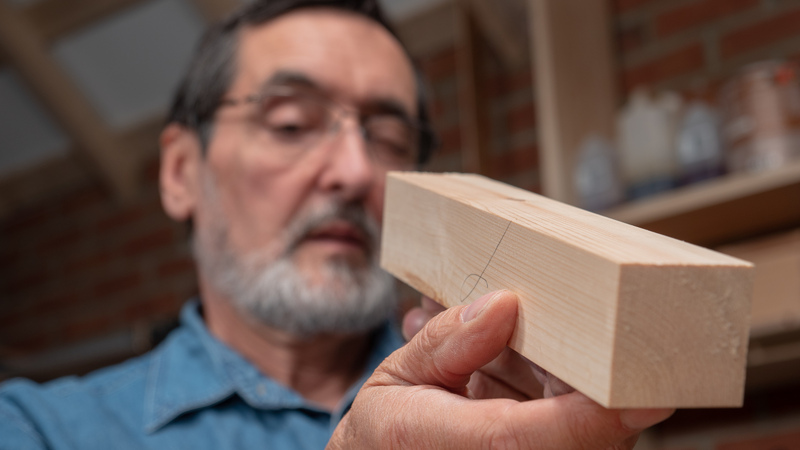 Put one winding stick at one end of the wood you are checking, and the other at the other end. Step away and crouch down to level to see if they are flat. 5. 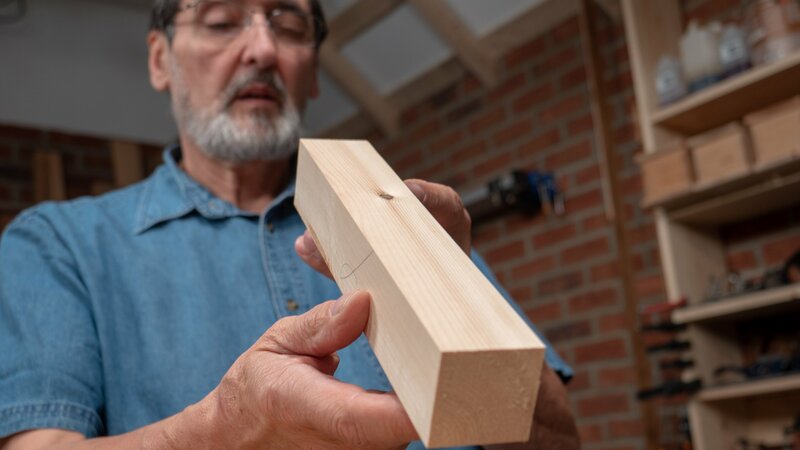 If you do see a twist and one end of one winding stick seems higher, then you must plane from high point to high point, from high corner to high corner. Check with the winding sticks periodically to see how close you are. 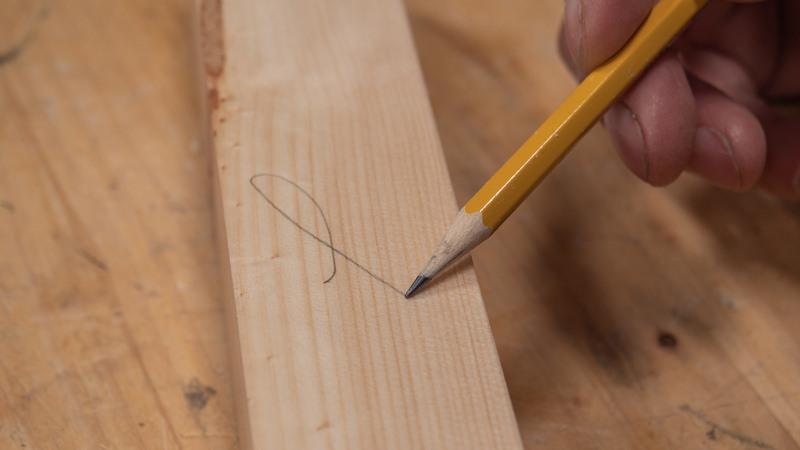 When the winding sticks align with one another and you have checked that you did not create any undulation, mark that face with a ‘face’ mark (below). 6. We use the tail of the face mark on the first face to show us which face we do next and repeat the same steps on this adjacent face. Using this reference face (the one we marked with the face mark) to hold the square against we can now check the second face for square by registering the stock of the square against the face with the facemark. 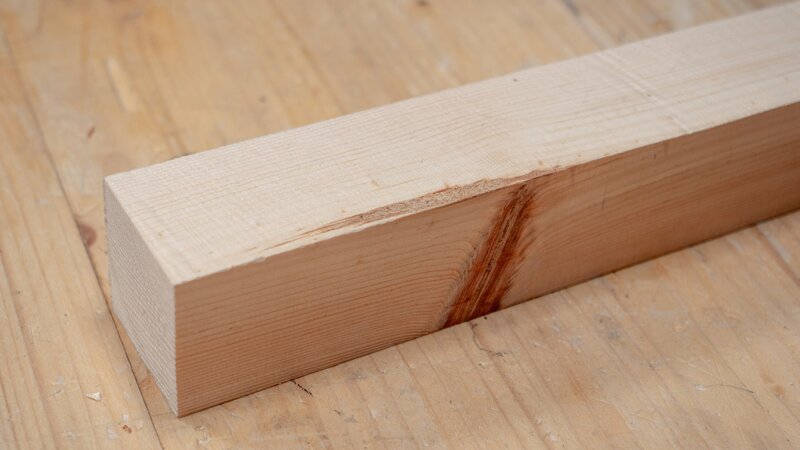 If there is a gap on one side or the other of the square we must plane the high side down to match the low side. 7. Sight along the face to make sure it is straight. 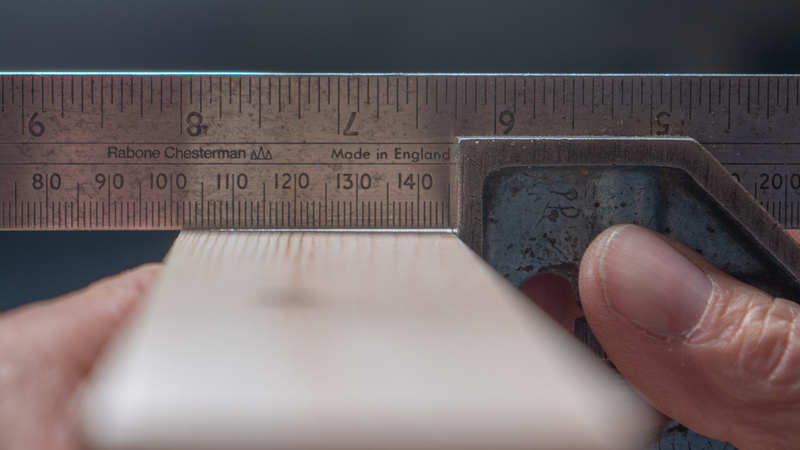 It is easy to focus on squareness and forget maintaining a straight face or edge. 8. Mark this newly trued adjacent face or edge with a ‘face-edge’ mark (below). 9. 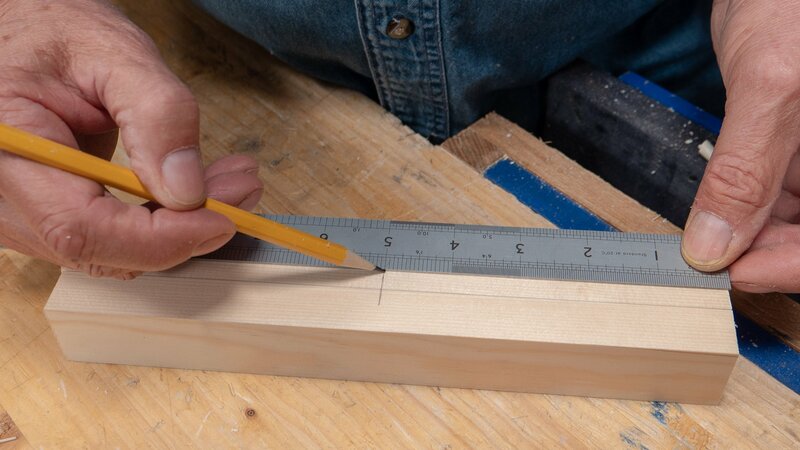 Set a gauge to the thickness you want the finished material to be planed to. 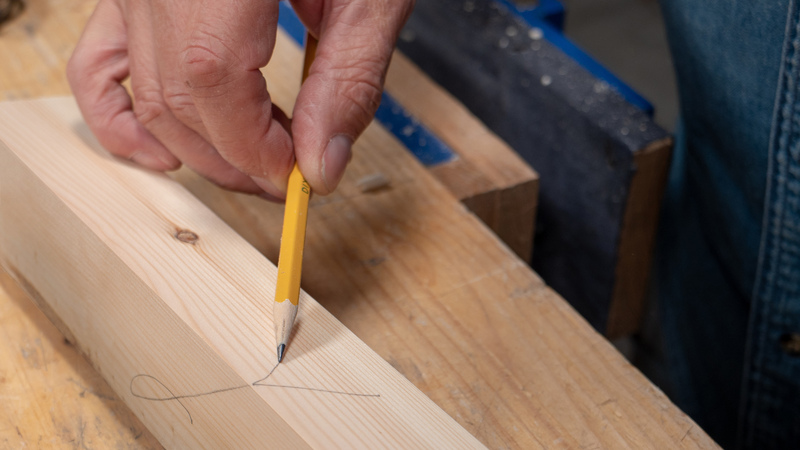 Register the stock of the gauge against the face mark side and push the gauge along the edge of the wood to mark the line along the long grain and also onto the ends. 10. Plane down to the gauge line, checking periodically to make sure you do not plane below the line. 11. 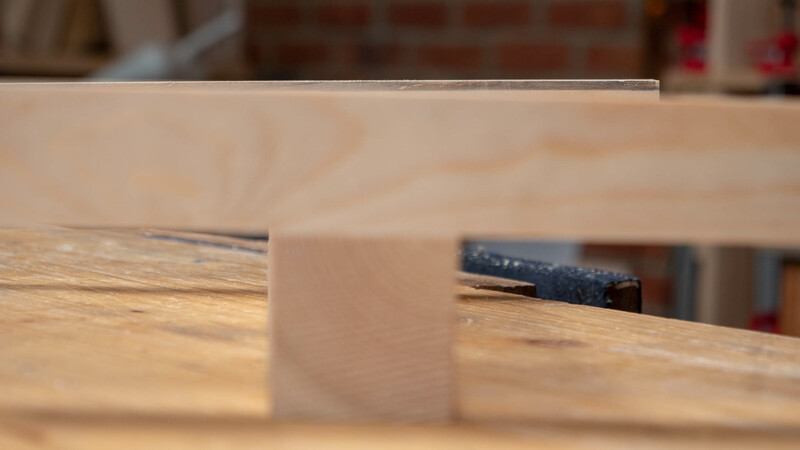 Now set the gauge to the thickness you want and register the stock of the gauge against the face marked with the face-edge to mark the level to plane to. 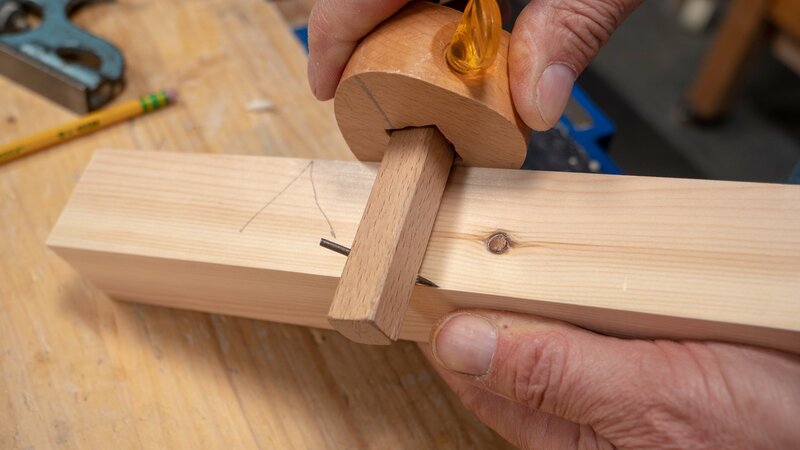 Note: Winding sticks are used to check for twist on the first face only. 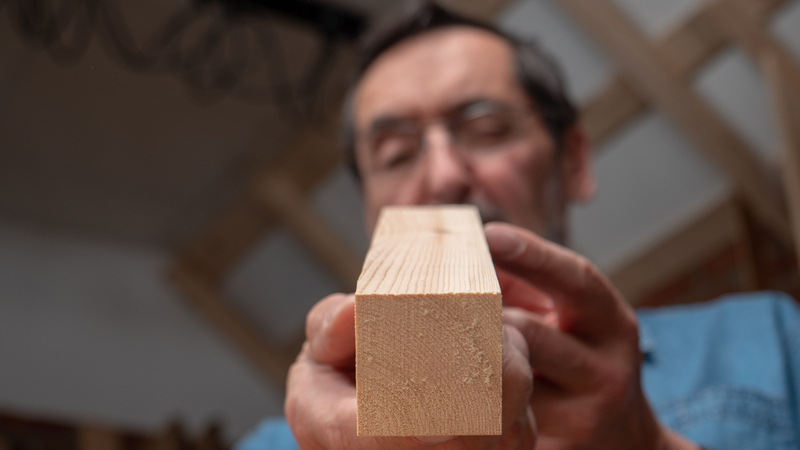 Once this is established as straight and without twist, we use the square to correct discrepancies to the adjacent face and then the gauge to establish parallel surfaces. A nice tutorial. One thing it showed me, by the close up photo, is how deep Paul makes the gauge lines. These small details make a big difference. Thank you Common Woodworking.